Admiral is your primary source if you want to get mold or dust mites out of your air. Even more importantly there are volatile organic compounds (VOCs) which are gases that can lead to viruses. Anything from paint to cleaning supplies can lead to symptoms of being sick. You might have a consistent headache when you get home from work or school and think it is the result of your day. Headaches and fatigue can be the result of VOC gases. Admiral suggests Clearing the Air Magnolia Tx which will produce high-efficiency particulate air. Our products remove over 99% of airborne particles as long as you replace the filters according to the instructions. It can be frustrating to feel sick when you are at home yet the last thing you would think it is from is your own indoor air. An air purifier from Admiral can be life-changing. Dust is a culprit in any home and can be very stubborn, to say the least. You are unaware that your furniture collects as much dust as it does unless you dust every day. We fall in love with furniture not knowing just how much dust it will collect. Instead of getting rid of the furniture, the solution is simple. Let the professionals at Admiral take a look at the room that collects the dust and discuss Clearing the Air Magnolia Tx. Allergies and asthma plague millions of Americans every year. Clearing the Air Magnolia Tx might be exactly what you need, in fact, it could be life-changing. If your home has carpeting that is a sign that there are toxins and other allergens trapped inside. You probably have no clue what your own home is doing to your health. This is why you need to rely on Admiral. These can stand on the floor or on a table. Some models have wheels depending on which model you order. The expense of an air purifier often will scare a potential customer. 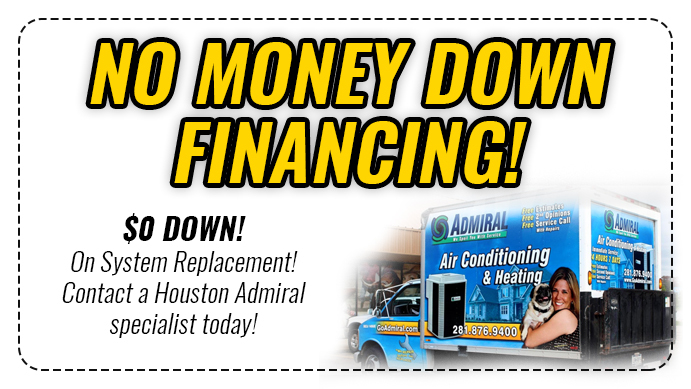 Because of this, Admiral is affordable and will sit down with you and go over what works best for your budget. You can program your purifier with your smartphone which allows you to turn it on before you arrive home. There are different speeds that adjust to your air-cleaning needs. You can lower the speed when you are sleeping or working and increase the speed when the pollen is at its peak. 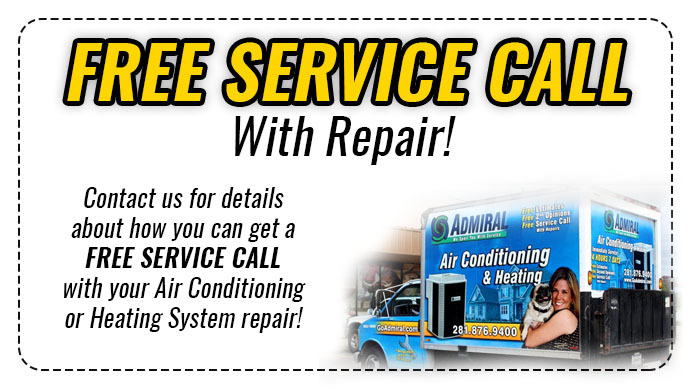 Admiral is the leading Houston HVAC and AC repair company. We are here to give you what you need, not bankrupt your account. Our certified staff will be able to inspect your home and give you details of what you need in order to update your system. Call us 281-876-9400 or check us out on the web.